There are 28 reviews of Fancy. I smelled this on a girl the other night and it was beautiful. Soft and creamy and sweet, definitely the sort of scent that makes your mouth water and is all inviting. Than the girl happily told me what she was wearing and squirted my neck and sweater. It was super musky and cloying and a sillage monster. I smelled so bad I left the club to go change and my SO was getting nauseous from the smell when I was talking with him on the front porch. After the sweater went to the laundry the bit of sweet amber vanilla clinging to my chest was pleasant enough, but that got overbearing fast. Fancy gets a lot of love here on Fragrantica, so I thought I would try it as the notes do indeed look very good, and I hoped it would be a really good fragrance for cool weather. I have only worn it once so far, and I will give it a few more tries, and my impressions may change over several wearings, but at the moment, I am less than impressed with Fancy. As so many reviewers have said, it is definitely sweet, and I definitely smell the caramel in it, but at first spray and for a good fifteen minutes or so thereafter, I mainly smelt nothing but florals, which surprised me. Later, the caramel and vanilla notes became quite noticeable. I have not really tried to pick out a lot of the other notes, but I agree this is definitely a gourmand parfum with a dash of florals and not a floral parfum with a bit of a gourmand edge. I definitely would not describe it as an Oriental, though. 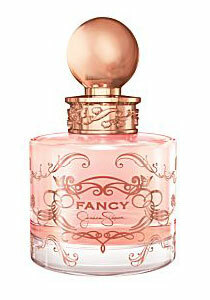 I like Fancy's deep dry down much better than its top and heart notes. In the deep dry down I still perceive vanilla and a bit of caramel, but I also perceive a nice, warm amber. It remains very sweet into the deep dry down, too. Together the vanilla, caramel, and amber are nice but quite foodie. I am not sure I would want to live through the top and heart notes every time I wore this just to get to the base notes. 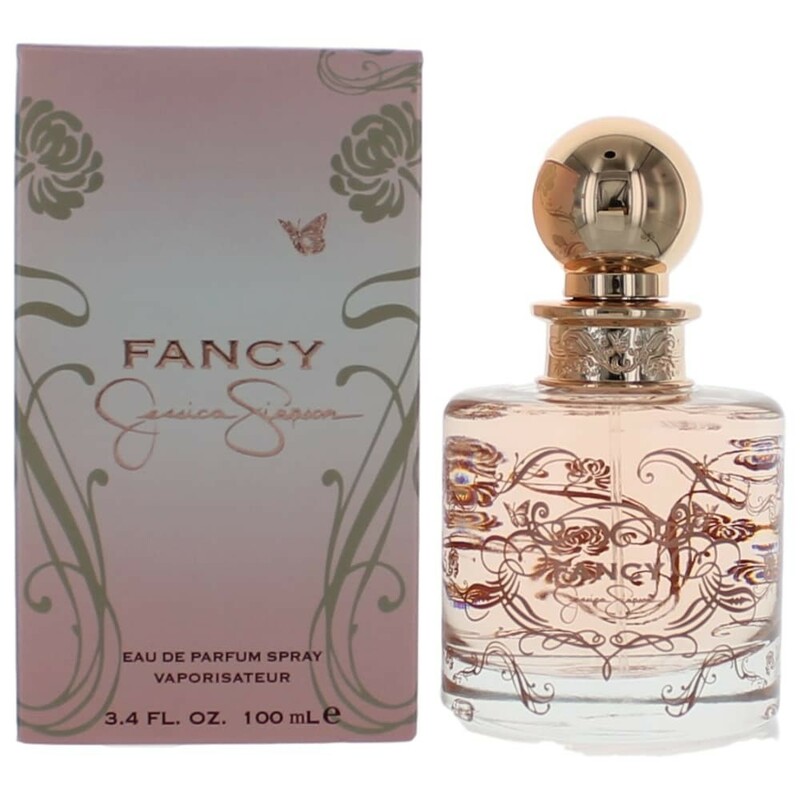 Fancy is "okay" for what it is and for its price point, but it is not a parfum I probably would have purchased had I sampled it first, and that is not because I dislike gourmands. (For example, I love B&BW's Sensual Amber and Cashmere Glow.) It is because Fancy has a quite STRONG synthetic smell to it. After smelling Fancy, I can say for the first time that I truly understand what people mean whence they describe a fragrance as smelling "synthetic." It is best to smell this parfum as it wafts up to your nose from your arms as it does not smell at all pleasant if you place your nose close to your arm to sniff it, which is untrue of every other parfum I have tried. I think anyone who likes Fancy could wear it, but on the whole, I think it would suit a younger person more than an older person. The floral notes give it a bit more sophistication than it would have without them, but Fancy is not a sophisticated parfum. I could perhaps see myself wearing this whilst working around the house or working outdoors or cleaning out the garage in order to use up the bottle, but that is about all. I would not wear it any place where I wanted to be noticed for my fragrance, though. I also do not think it would be a good fragrance to wear to snuggle with your chap because as I said above, Fancy is best smelt as it wafts toward one's nose. If your chap put his nose against your neck whilst you were wearing Fancy, I do not think he would find it very nice. No offence to anyone who loves Fancy, but I cannot recommend it. Anyone who really loves caramel as a note may want to try this, but beware that although there is a strong caramel note in it, the parfum is very synthetic smelling. If anyone wants a celebrity gourmand fragrance, I recommend Queen Latifah's Queen over Fancy. Queen is boozy and gourmand, but it does not have the strong synthetic smell of Fancy. As a side note, and interestingly enough, the nose behind Fancy also created Thierry Mugler Womanity! As other posters have noted, on the first spray it is a little juvenile and cheap. However (a big however), after settling, it warms into a complex smell that I quite enjoy. By the time I've made it to bed, I can't stop smelling my wrists because they smell like the yummiest warm vanilla, chocolate, ambery smell ever. My colleages compliment me most on this in the evenings just before leaving the office. I blind-bought this after reading the notes because I am a sucker for (decently formulated) sweet gourmand scents. This is not one. I am stuck with 3-odd ounces of bugspray now - seriously, all I smell is citronella and alcohol - and not one note advertised is present over the stench. It is vaguely, if you squint and hop on one foot, "sweet." Otherwise, this is crap. I am used to celebuscents being bad, but I read so many good reviews about this one that I figured I was safe. Buyers beware: if you have an educated nose, this will probably not be up to your minimum standards of acceptability. Just think, I could have had three bottles of Skin-So-Soft instead of this choking stinkbomb. Those who say this smells like Pink Sugar must have very different noses from mine! For a cheap smell-alike of PS, play it safe and go with Gale Hayman's "Delicious Cotton Candy," which actually does smell like cotton candy, marshmallows, and a little like "Wish." "Fancy" isn't worth the paper in a tester strip, in my opinion. In related news, I now have a 3.3 oz. bottle of Fancy for sell / trade. Any takers? Cons: Too many to list; waste of money"
My first thoughts were, "It's way too cloying, but not as disgusting as I thought it would be." The opening fruits are bold, while the vanilla dry-down makes you feel as if you've bathed in a tub of vanilla extract and carmel syrup and then dried yourself off with cotton candy, which is great if you're into that sorta thing. I normally like gourmands, but this leaves me ambivalent. It's sweet and superficial. This would be a great gift for my bubbly, 17-year-old cousin for her prom night. But I'd rather go with something with a bit more intrigue and spice. The drydown on this is just a bit plastic doll-y smelling in Fancy. The lotion is okay fragrancewise ,but seems a little liquidy . The Fancy shower gel is nice ,it reminds me slightly of Bvlgari Omnia (red bottle)a bit of tea-ish notes added to a weaker version of Fancy. All in all not too bad for $10 for all three from a discounter. Jessica Simpson's "Fancy Love." Similar but better?